Like your vehicle, every heating and cooling system requires TLC to function at its best. Studies prove that routine HVAC maintenance extends the life of your system, and that’s good news for your comfort and budget. 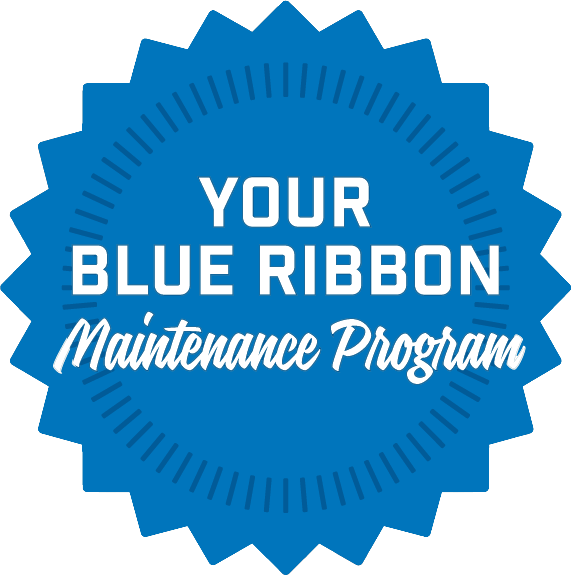 When you join the Blue Ribbon Maintenance Program, you’ll receive an affordable agreement that protects the longevity and performance of your HVAC equipment. And, your investment pays for itself through energy and repair savings! In today’s service industries, true customer care is increasingly scarce. When you partner with Certified Heating and Cooling Inc., you’ll feel the difference. Arriving in well-maintained vehicles, our uniformed technicians are polite, attentive, and tidy. We respect your time, so we arrive on time. We treat your home and property as if it were our own. Most importantly, we provide you with the solutions that best suit your budget and comfort needs. No hard sells, and no obligation. Increased system lifespan. The number one reason for early system failure is dirt and debris buildup. Well-maintained equipment lasts longer—and performs stronger. Preventative care. Aging HVAC systems are prone to more problems. During maintenance visits, our technicians can pinpoint potential concerns before they become costly emergencies. A valued partnership. Certified Heating and Cooling technicians are the best in the region. Certified and experienced, they guarantee their workmanship and provide customer-focused support throughout your visit. Check system for proper refrigeration charge. Check & clean evaporator coil. Check & clean condenser coil. Check compressor & fan amps. Clean & flush condensate drain lines. Clean & vacuum drain pan. Treat drain pan with algaecide. Lubricate operating parts where applicable. Check all electrical connections & wires. Clean & adjusting blower components. Check thermostat operation & mounting. Check heat strip amps & operation. Check reversing valve operation on heat pumps. Check safety controls where applicable. Check final performance & report necessary improvements.